Since a white tennis ball was first struck with grace whilst wearing long pants in 1877 and the bearded Spencer Gore became its very first winner ‘The Championship’ has been the premier tennis event around the world. In 1884 Maud Watson won the Ladies Singles, her prize was a Silver Flower Basket, this year the Ladies Champion will win 2.2 Million Pounds, which roughly equals my weekly fuel bill for the Mustang. So, whilst we get the hot water bottles ready and the tea bags primed for long wintery nights watching the ‘telly’ trying to stay up watching that ‘5th set’, lets preview what’s likely to happen these next 2 weeks. Beginning with the Ladies, last years’ Champion Serena Williams is awaiting the birth of her first child and when she returns will be trying to improve her imaginary ranking of 700 according to John McEnroe. 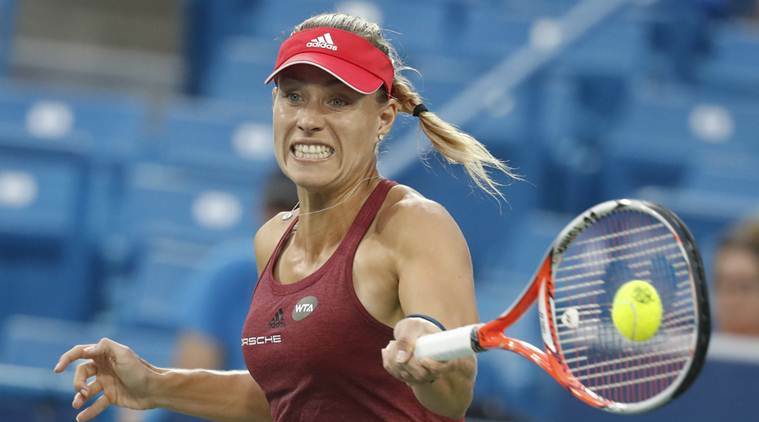 Last year’s finalist and world number one Angelique Kerber is in ‘space mountain’ free fall with a match record of 19/13 this season and zero titles. In the real absence of Serena and the virtual absence of Kerber, a void has been created which any number of players could fill. Looking at the last 7 Wimbledon Champions we have Serena, Serena, Kvitova, Bartoli, Kvitova, Serena. 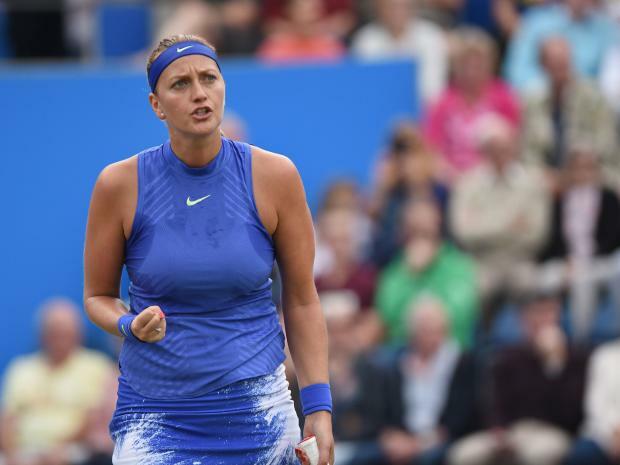 Obviously the common theme is Serena followed by Petra Kvitova who has done incredibly well in her comeback from a knife attack to win her second tournament back last week in Birmingham on grass, defeating Aussie Ash Barty in the final. Kvitova will be the 11h seed and one to watch, lets see where she lands in the draw, which is released tomorrow. World number two Simona Halep hasn’t done especially well at Wimbledon, her best result a semi final 3 years ago, her French Open final defeat will either motivate or deflate her, we’ll soon find out. The unlikely Roland Garros Champion and most popular person in Latvia, Jelena Ostapenko has made only two Wimbledon appearances, her best showing a 2nd round defeat in 2015, she could make the second week but might be on ‘upset’ special alert the first few rounds. Don’t count out Venus Williams, she loves the grass with 5 Wimbledon titles to her name and has a solid 20-7 match record this season, although a recent car accident in Florida, which she was involved in where a death occurred could weigh mentally on her. As for the Aussies look for Ash Barty to do well, her final showing in Birmingham proves grass suits her all court game. Sam Stosur is sidelined with a hand injury but should be back for the US Open and Daria Gavrilova will come in as the 20th seed. Gosh, its so hard to pick a winner here, I’m still waiting for someone to consistently break through Slam after Slam. I’m going to go sentimental here, I’m picking Petra Kvitova to win, and I’d love to see it. Especially after what she’s been through the last 12 months with the knife attack and not knowing if she’d ever play again. If the Czech lefty can keep the errors down over a 7-match span she has the power and experience to win it all. Moving over to the blokes, it’s impossible to see a Champion emerging from outside the top 4, Murray, Nadal, Federer or Djokovic. Consider the last 5 years of the event the Champions have been, Murray, Djokovic, Djokovic, Murray and Federer. Then throw in Nadal fresh off his French Open victory, if his knees can hold up on the grass it would take a brave man to bet any player other than these 4 will hold the trophy. 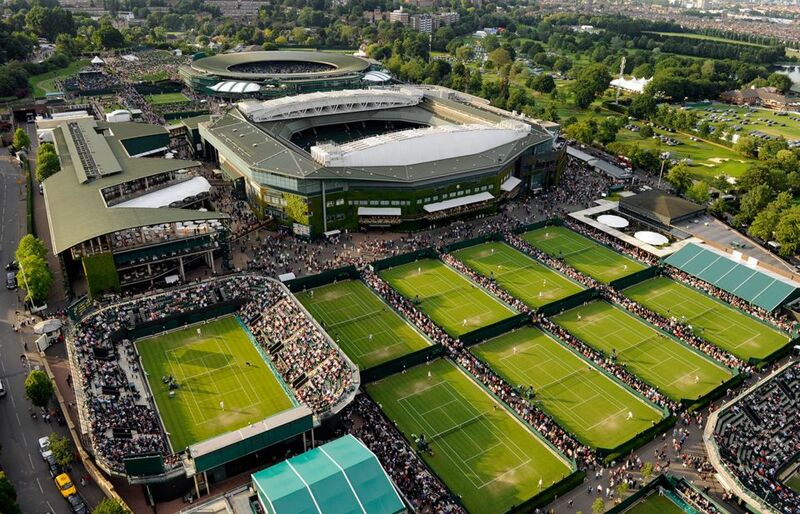 Looking at the stats of how many Wimbledon’s they’ve won between them: Federer 7, Djokovic 3, Murray 2 and Nadal a 2-time champion suggests their utter dominance on the hallowed turf. 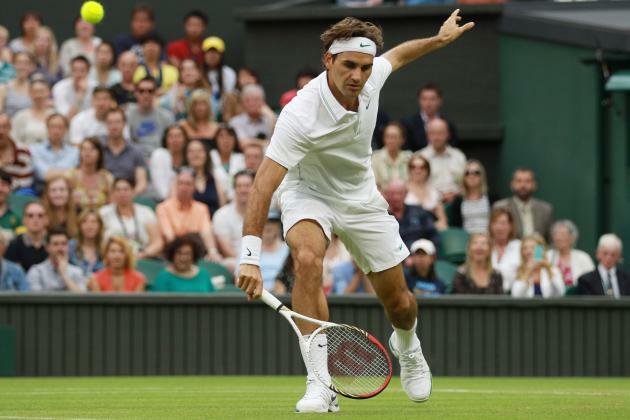 Federer had a hiccup in Stuttgart losing early to Tommy Haas but decimated the Halle draw to win the event last week. Nadal rested up after his Roland Garros victory and has been practicing on the grass in Mallorca. Murray lost early in Queens to Aussie Jordan Thompson and has pulled out of an exhibition in London yesterday due to hip problems, speculation is swirling he could even withdraw from Wimbledon and Djokovic is playing this week in Eastbourne where he is in the semi finals tomorrow but still looks shaky. 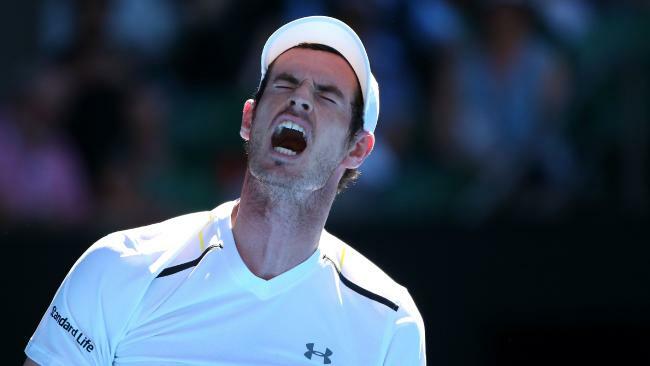 So in reviewing the big 4’s momentum coming into Wimbledon there are a few questions concerning Murray’s hip, Rafa’s knees, and Djokovic’s desire. Look for the dangerous big servers to cause some headaches, John Isner, Ivo Karlovic, Marin Cilic and Feliciano Lopez the Queens Club winner. Stan Wawrinka could make a run but has never made it past the Quarter Finals. Nick Kyrgios withdrew in his first match at Queens with a hip injury but is a certain starter at Wimbledon and Bernie Tomic has won a couple of lead in grass matches but is struggling this season with a 7-13 match record. Ok, time for my pick. Nobody will win this outside the top 4. That’s a fact. What’s unclear is how will Murray’s hip, Rafa’s knees and Djokovic’s form hold up, those things alone make Federer a slight favorite, he has the form and seems injury free. 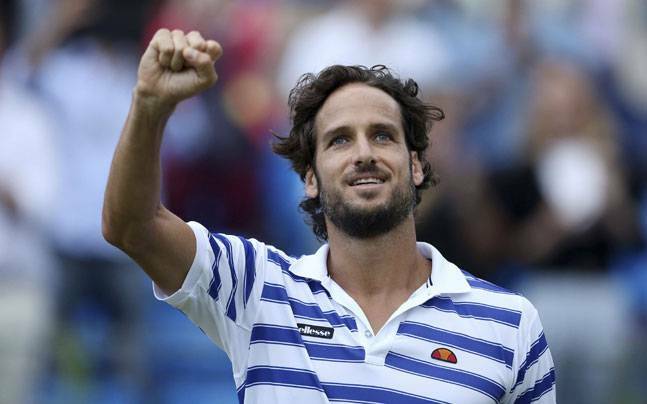 If the Swiss navigates his way around any big servers that may be in his section of the draw when it’s released tomorrow and makes it deep into the second week he will win. David, great item. I think this tournament is wide open. No one seems to stand out. Should be a great two weeks. Oh, by the way, GO MANLY!!!!!!!!!!!!!! Thanks Mrs T, Manly in the top 4, who would have thunk it!